How many times have you found yourself in a situation that old, darkened tree stump had started to turn green again, and start growing? Although nature is resilient and fights for every opportunity to grow, sometimes, it is a bit pain in the neck. To prevent this, there are several things you can do, all of which I have listed here. As with all kinds of work of this type, be aware of potential danger, and always bear in mind yours and safety of others. In short, what you can do? There are several approaches which you can undertake to kill a tree stump. Some of them are mechanical, while others include chemicals and herbicides. Eventually, if you decide to remove it completely, there is that option as well. What is common for all of those approaches is that you should always carry safety goggles and gloves. First and easiest way to kill a stump is to obtain a driller and some E﻿p﻿som or rock salt. Kitchen salt should be avoided, because of its adverse effects on a surrounding vegetation. You should start by drilling several holes in the stump, which should be about 1in wide and at least 8in deep. The deeper the hole, however, the better. Next, you should apply Epsom into the holes, filling them up completely. For high precision work, you can use a spoon. After being filled, holes should be sealed with wax. To do so, you can use an ordinary candle which can be found in every house. To speed up the process, you should cover it with a tarp or a non-transparent trash bag, to deny it the basic needs, such as water and sunlight. This approach requires up to several months to kill a stump. Although it might seem like a long period, its main advantage is that it is easy, and it doesn't require any particular set of skills, besides using a driller. Similar to the previous approach, this one requires only tarp and a lot of time. Only cover the stump, and leave it for several months. It is a long wait, but if you manage to deny it the most basic needs, it will die out for sure. Also, the bigger the area you can cover, the better. I would recommend this approach in summer when the drought is possible, so you do not need to worry about stump getting water during the process. 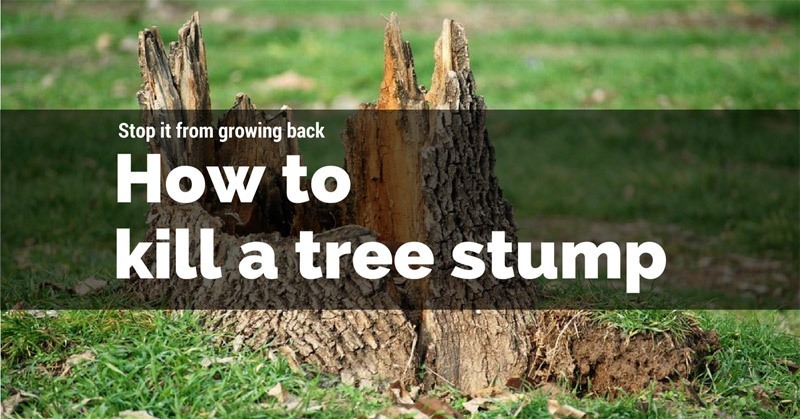 It will require from three to six months of this treatment for the stump to die out completely, so it is advised to check it out from time to time. Also, this is a great approach if you wish to leave the stump as a decorative element afterward. It will be intact and beautiful to look at. It is entirely safe for surrounding area, so you will not need to worry about other plants in your garden, or the potential mess left afterward. Similar approach as the method one, this one will also require drilling a set of holes. In this case, you will pour kerosene in holes, and wait for a while for the stump to absorb it. Next is to ignite the kerosene, and it will do the rest of the work. This method is very time-friendly because you can finish the job within a day, but it is also the most dangerous one. Always have an extinguisher close at hand prepared, and never leave the fire unattended, not for a minute, because it can spread, jeopardizing property and people's lives. Bear in mind that fire can damage the grass around the stump, so be prepared for some redecorating afterward. Less aggressive method would be to prepare a layer of coal and scrap wood at the top of the stump, and start the fire. You should pay attention to see if the stump have caught fire, and to add more fuel if the fire starts to die out. Both of those ways are working only if the stump is dry and can burn. Recently cut stump will deny cooperation, which will result in slightly charred, but still alive stump. If you enjoy working with heavy equipment, this approach is perfect for you. Chainsaw and a stump grinder will be required, and if you have any doubts about using either of those, there is no shame in calling the expert who will do this work for you. Grinders are somewhat rare and expensive to buy, so renting one is a great option. First, you should start by cutting the stump as close to the ground as possible. Chainsaws are heavy, so be sure that you are stable to the ground and wearing safety equipment. Also, a word of advice is not to let anyone stand in front of you because if the chain snaps, it can cause severe and even life-threatening injuries. Pets and children must be kept way, due to their sometimes unexpected reactions to noise, which can turn your attention in critical moments. Now, use a grinder to grind up the stump, and all visible roots as well. This method is quite messy, so you will need to clean up the wood bits. Although considered as waste, that extra wood can be used as fertilizer for your garden. The downfall of this approach is that you will need quite the space around the stump for heavy machinery. This method can be used only if the stump is fresh, and the tree had been cut down recently. You can both drill holes again, and fill them up with herbicide, or use a hatchet or an axe (depending on the size of the stump) to make crevices, which you will spray herbicide on. 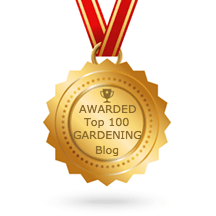 For this purpose, I have used the most common hand sprayer, which can be found in every gardening center or a hardware store. The alternative is to fill an ordinary plastic bottle with pesticide and to punch several holes on the cap, therefore gaining an improvised muzzle. Herbicide can be very toxic and dangerous for surrounding plants and vegetation, so you must be well informed about the chemicals you are using. Also, you must not use it more than it is recommended because through the ground, it can go to the water system, and it may happen that someone ingests it, which will cause problems. There is one last resort to kill the stump, but this should be the solution only if you wish to eradicate it. You will need a shovel, an axe, and a pair of gloves and safety goggles. First, you will need to dig a hole around the stump, around 3ft in diameter. The depth should be at the roots so that you can see those. Next, using an axe, cut the roots completely, and remove the stump. Although this method seems easy when you read about it, brute strength and some heavy lifting will be required. The hole made this way can be used to plant a new tree if you wish, or any other purpose you have planned. The downside of this method is that it is time-consuming and will often give you weak hands. Here are some of my approaches which could help you greatly in achieving your goal. One final word of advice is to care to bring a balance if it is possible. If you have cut down the tree recently, always bear in mind that you should plant another one instead. Trees are generally considered comfortable for maintaining and will also bring you pleasant shade during hot summer months. In case that you have any other creative approach to this problem, care to share in the comment section below.